Service boxes are essential. Often they can be designed to be out of sight when they are not in use. This is helpful if a town square is occasionally used for markets but at other times needs to have a clear space. 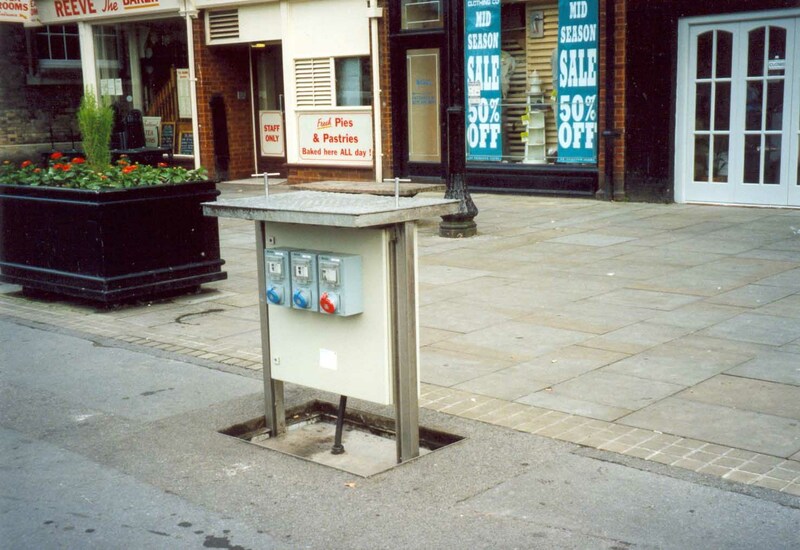 There is more practical information about these boxes and other pop-up underground services on our street lights information sheet.